It has been reported that engineer Dave 'Shirt' Nicholls passed away. He worked for bands such as Slipknot, Stone Sour, Avenged Sevenfold and more. 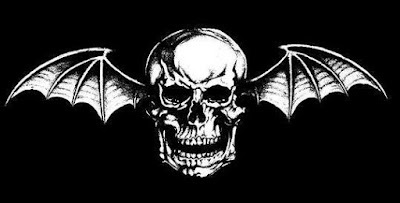 A7X said in a statement: "We wanted to share with you our thoughts on a dear friend that we lost today. Dave 'Shirt' Nicholls was the sweetest man anyone could ever know. 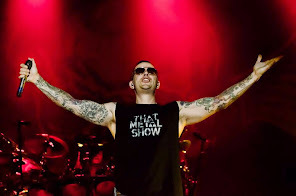 If any one of you had ever seen Avenged Sevenfold or Slipknot live in the last 12 years and enjoyed yourself then I can assure you it was as much because of 'Shirts' mixing as it was any of us band members. Besides being extremely talented at mixing live music he was also the best man to be around. He would always talk about his family and how much he missed them while being on the road. We considered him our family as well and are deeply saddened by his sudden passing. About 4 weeks ago he called us to let us know he had a small hernia operation that he had to take care of and would meet us out on the road w Metallica in June. He was so disappointed to be missing part of the tour. When they went in for surgery the found other problems including cancer. His body went into shock after trying to get him stable. Without going into detail we got the call this morning that he passed on. Just a few weeks ago our dear friend was here with us and that quickly he was taken from us. To his family, he talked about you everyday with a massive smile upon his face. He loved you dearly. We will miss you 'Shirt'. Thank you for being there for us throughout the years.